I know I just gave my TRIA Hair Removal Laser Update last week, but BIG things have happened since I wrote that post. Yes, even though it just posted last week, I had written it prior to my vacation, more toward the middle of the month - and that is when it all started to happen. You see, I shaved my legs the morning that I left on vacation. And I did not HAVE to shave them until Monday of this week. It was 3 weeks since my last shave! I did start to notice some stubble last week, but it was very light and sparse. The TRIA Hair Removal Laser IS WORKING!!! I did bring the TRIA with me on vacation, and I used it twice on my underarms and bikini area and once on my legs. I still have to shave my underarms every five days, but the growth is also much more sparse when coming in. As I had a bikini wax prior to vacation, I am still very free of bikini line hair and cannot give a true upate. I am also two months behind on that area, but I am hopeful results will be similar. 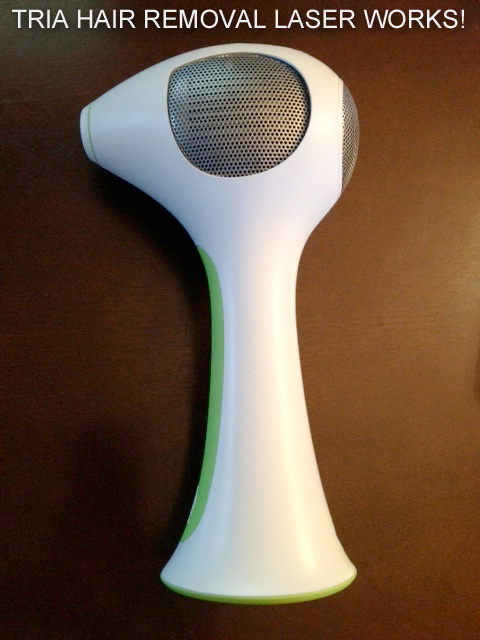 I cannot express how easy the TRIA Hair Removal Laser is to use. At first, it seemed time consuming, but it really isn't and it is becoming second nature. Really! I am so excited to see such a major result just 4 months into my testing. I will be back in April with another update. I cannot wait to bring you more results and am confident that I will be hair free by June. Won't that be amazing?